First and foremost, Happy New Year everybody! Even though this year has, what some may consider, an unlucky number in it's combination, I have a feeling it will be a great one. So to start it off on a positive note, I'll post this week's Feature Friday (I'm reorganising my posts... yes, again). 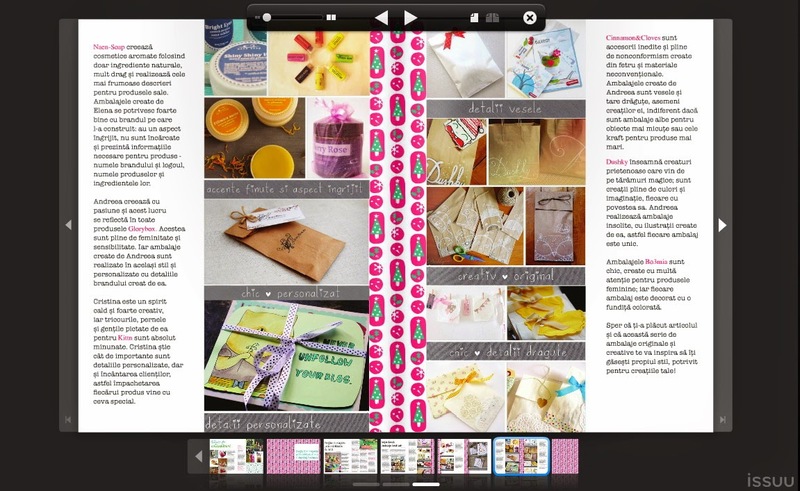 This one comes from Atelierul magazine who were kind enough to feature me in their Christmas issue with my wrapping ideas.